A nice hot cup of coffee is the perfect morning eye opener, but this dark heady brew can be used for more than just drinking. 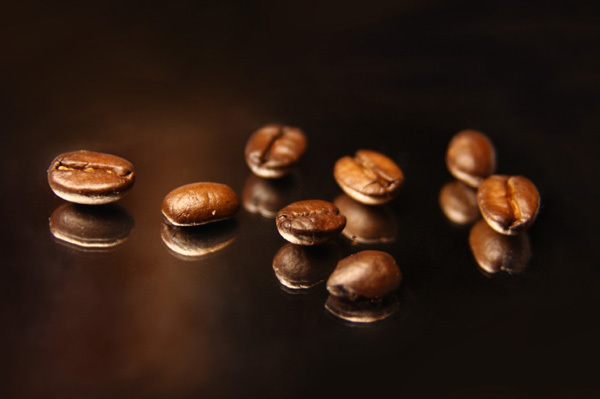 Coffee has a special affinity for meats and is an ideal ingredient for marinades and sauces. Use your favorite coffee to add a delicious flavor component to dinner and enjoy that fresh brewed cup in a whole new way. Coffee grounds will boost the flavor of most meats, like beef, pork or chicken. Coffee is very strong and flavorful and, consequently, should be paired with other strong flavors. coffee as a spice, like you would use any other spice. cooked, opt to use brewed coffee because grounds tend to stay grainy in a sauce or marinade. 1. Saute garlic in olive oil until just lightly browned in a medium pot. Pour vinegars into pot and cook, stirring, for 5 to 6 minutes. 2. Stir in remaining ingredients and cook for 10 minutes to blend the ingredients. Remove sauce from heat and strain through a fine sieve. Serve hot or room temperature. 1. Combine chili powder, coffee, paprika, brown sugar, mustard, salt, black pepper, cocoa powder and oregano in a bowl. 2. Brush ribs with olive oil and then season both sides with salt and pepper. Rub spice mixture onto both sides of ribs. 3. Place on a preheated grill. Cook 8 to 9 minutes per side or until fully cooked. Remove from grill and let rest for a few minutes. Serve with Coffee BBQ Sauce (recipe above). 1. Saute peanuts in butter for 20 seconds. Add onion and garlic and saute 1 to 2 minutes. 2. Combine coffee with peanut sauce, vinegar, Worcestershire, and peanut mixture in a bowl. 3. Place steak in a bowl and pour half the marinade over it. Saving the rest for cooking. Chill and let marinate for 6 to 8 hours or overnight, flipping a few times.